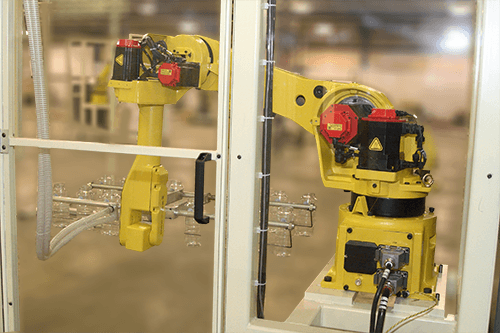 Motion Controls Robotics develops robotic bottle and container case packing systems that allow PET bottles and other containers to be automatically packed into pre-erected, lined or unlined corrugated cases. Bottles or other open top or closed containers are fed into the packing cell on flat top conveyor. Erected cases are placed on the case in-feed conveyor and are automatically registered for packing. If necessary, case flaps can be spread open to improve clearance into the case. Cases packed with bottles or containers exit the system for easy removal and if applicable, downstream robotic case palletizing. 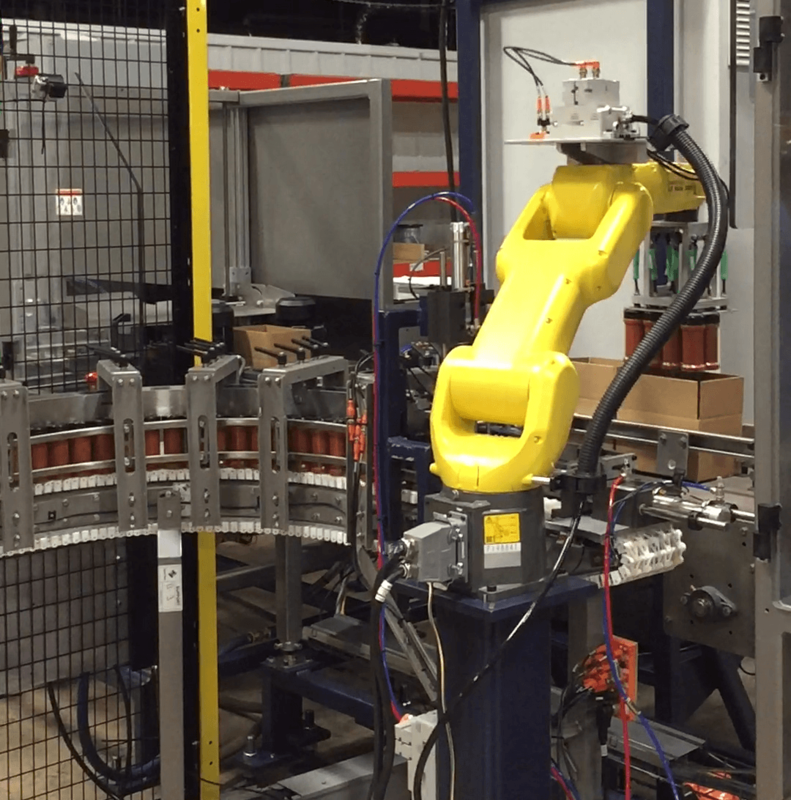 The robotic bottle/container case packing system is flexible, precise, programmable and portable. The system reduces costs and is easy to use. Full layer, or row bottle and container palletizing is also available from Motion Controls Robotics. These systems reduce dunnage and packaging requirements. Manufacturers throughout North America are reducing their carbon footprint, improving their “green” status and reducing cost with this type of product palletizing.